Ven. 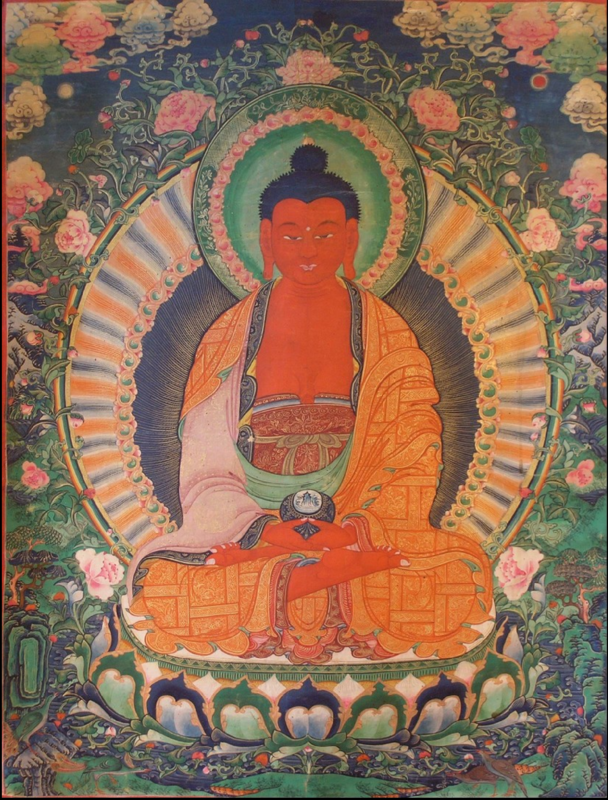 Lama Kunga Rinpoche has kindly agreed to bestow the Empowerment of Amitabha, the Buddha of the western paradise, Sukhavati. The empowerment and subsequent practice can assure rebirth in Sukhavati, the Western Pure Land. One of the five Dhyani Buddhas, Amitabha transmutes desire into discriminating awareness. Through the practice, one is connected with his power and gains greater clarity in life activities and decisions, especially those related to desire. Ven. Lama Kunga Rinpoche will offer an introduction to the practice of Phowa. This is the practice that can be done at the time of death to send one’s consciousness to a Buddhist paradise, such as, Sukhavati, instead of passing through the Bardo. The Empowerment will begin at 10:00 am. Potluck Lunch together at about noon. The requested donation for the day is $40.00. Dana (offering) to the Lama is separate. For information, please phone Max Butler at 707-275-9435.